GSEB Std. 10th (SSC) & Std. 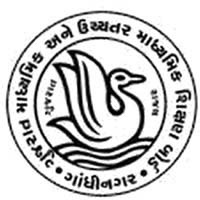 12th (HSC) Exam March 2019 Time Table : Gujarat Secondary and Higher Secondary Education Board, Gandhinagar Published an Official Time Table For SSC (10th) and HSC (12th) Science Stream and General Stream Exam March 2019. You can View or Download Official Notification for Time Table and Time Table for GSEB 10th and 12th Exam in Below Mentioned Links.